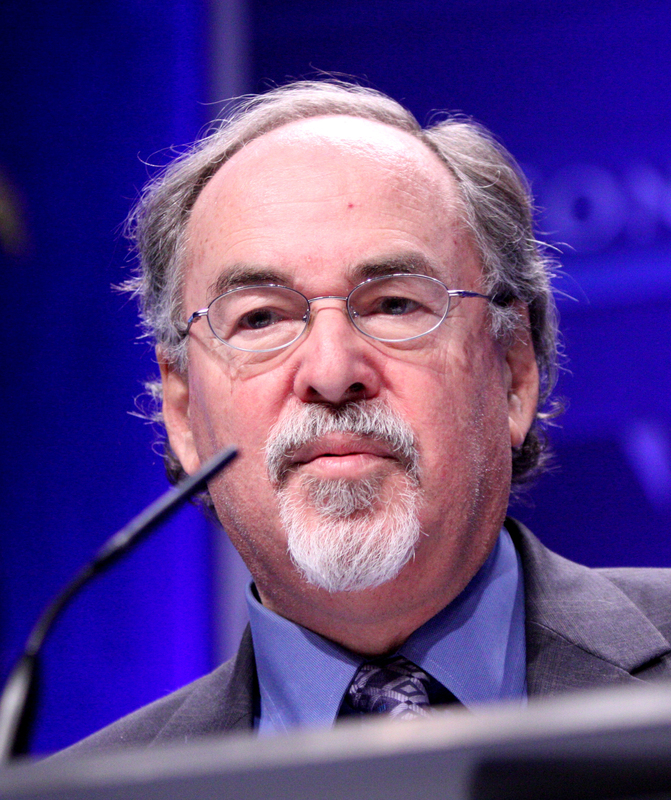 David Horowitz, Founder of The David Horowitz Freedom Center. 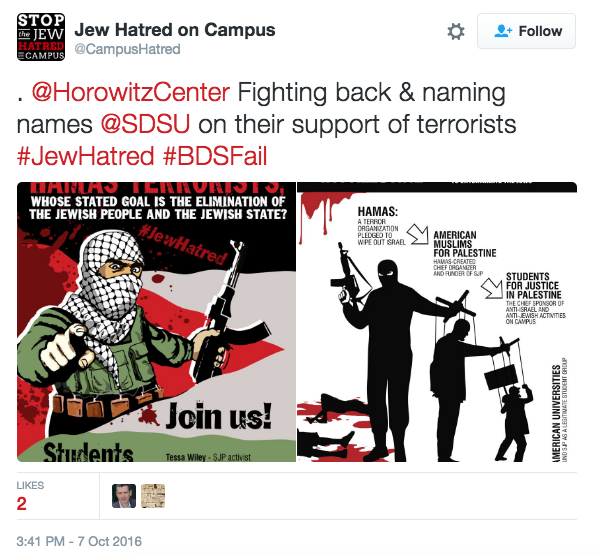 On October 4th, Mr. Horowitz officially launched the “Stop The Jew Hatred On Campus” campaign to take down the terrorist support groups, starting at UCLA. He created signs and hung them around campus which linked the group Students for Justice in Palestine to the terrorist leaders they adore. “That will change the dynamic of this battle,” Horowitz said. 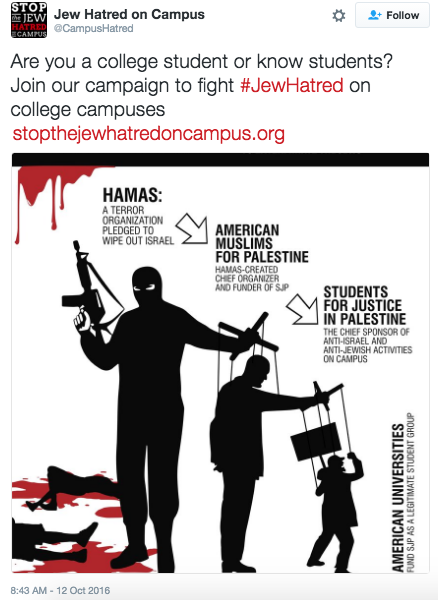 The David Horowitz Freedom Center has curated a list of the top ten schools supporting terrorists. The list includes Brooklyn College as number one, along with Tufts, UC Berkeley, Vassar, University of Chicago as other top offenders. 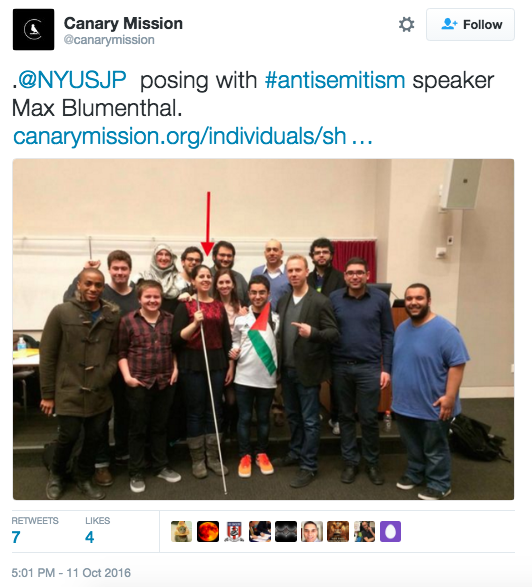 Above is a picture of NYU’s Students for Justice in Palestine group along with a well known anti-semite, Max Blumenthal. Blumenthal is the son of Sidney Blumenthal, one of Hillary Clinton’s top confidants who acted on an advisor to her during her time as Secretary of State.